Dr. Mongomery has recently relocated his practice to the North Cypress Medical Center, in the beautiful, brand new, Professional Office Building II located at the intersection of Highway 290 and Huffmeister. The new address is 21212 Northwest Freeway, Suite 315, Cypress , Texas 77429. Parking is available in the attached parking garage. In addition to Dr. Montgomery's wife, Denise, the R.N. and office manager, you will meet Lisa, our front office person. 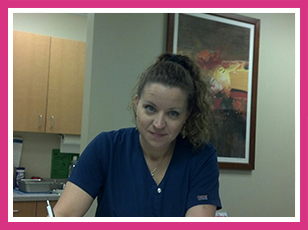 While Denise schedules surgery, Lisa schedules your appointments and greets you at the office. 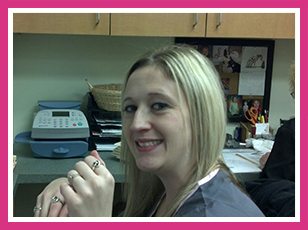 We receive constant compliments from patients about her friendliness and professionalism. 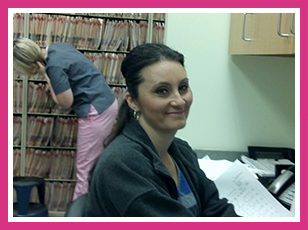 Rosa, our insurance and billing expert, will help you to understand the confusing world of HMO’s, PPO’s, EOB’s, ICD-9’s, CPT’s, etc. that doctors and patients must deal with every day. We accept most types of insurance, including Medicaid and military plans.